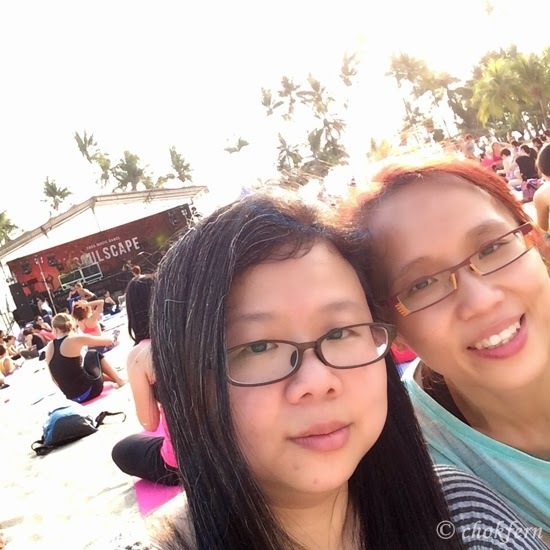 Last Saturday sis and me have a hot date at Tanjong Beach @ Sentosa. 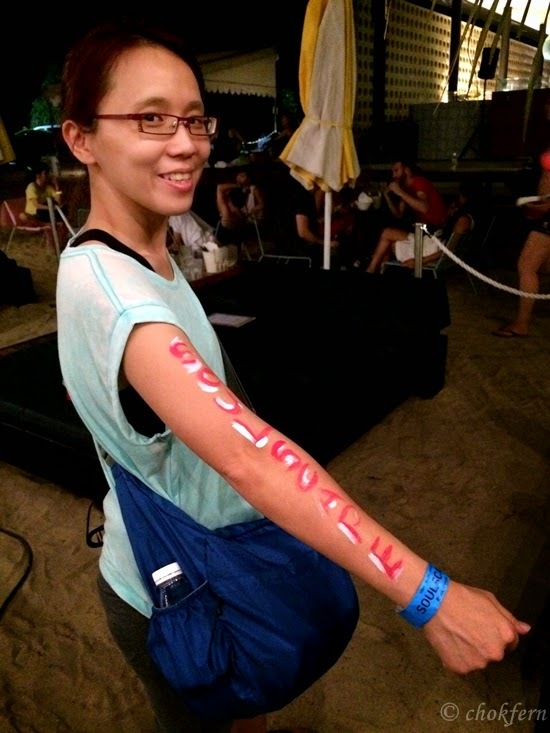 Anyway, the hot weather did not stop us from being part of Singapore first iconic Yoga and Fitness night festival this year – SOULSCAPE. 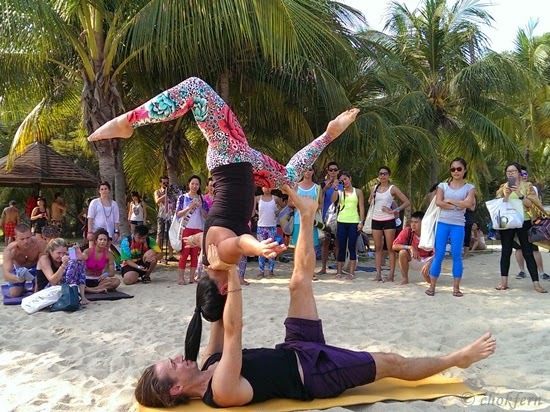 This interesting event is created by health and wellness digital magazine and platform – intheLoop, which offer Yoga, movement workshops, a lifestyle and wellness market, world music and a dance party. 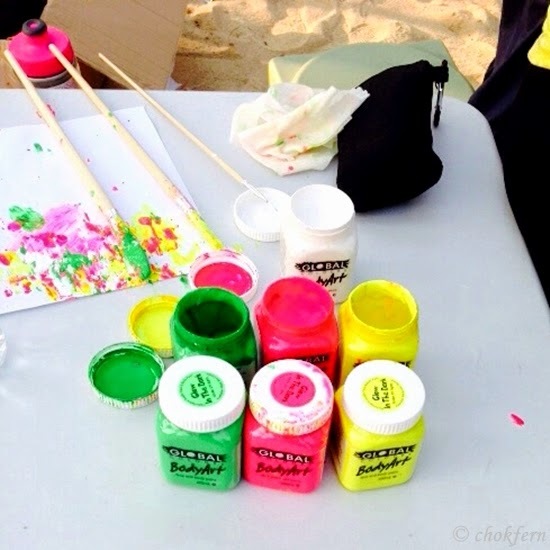 SOULSCAPE is an family friendly event with activities that caters to people of all ages, include sunset yoga which senior can participate for a slower pace flow (and I am part of them~), when the kids get to keep themselves occupied with yoga, sandcastle building and art and craft. It aims to educate people on how healthy living can weave into a discovered-connect-play theme. Let’s see how sis and me enjoyed our day at SOULSCAPE! 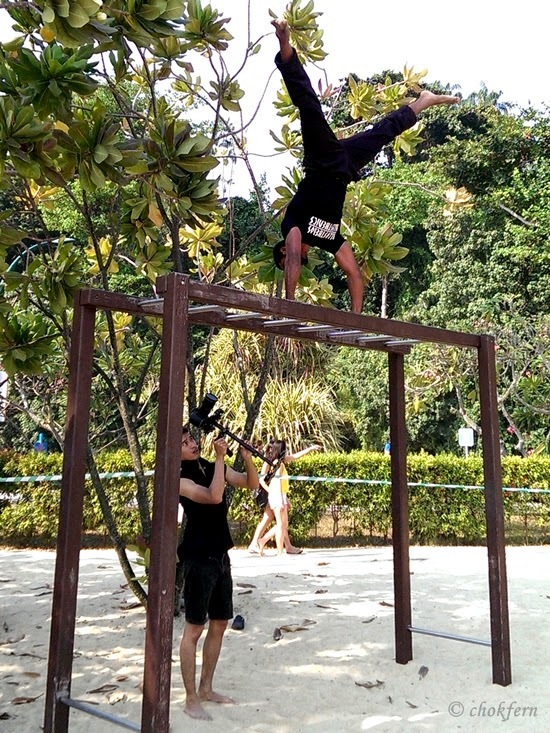 Have phobia of Monkey bar because I fell from it once, let alone do such movements, really admire him! Acro Yoga. Are you game for it? Slacklining. She is GOOD!! A lot of people failed on their second steps (like me), but she managed to finished almost all steps! Rocking myself…. but the arc is not big enough 🙁 old bones…. Traffic light color body paint! 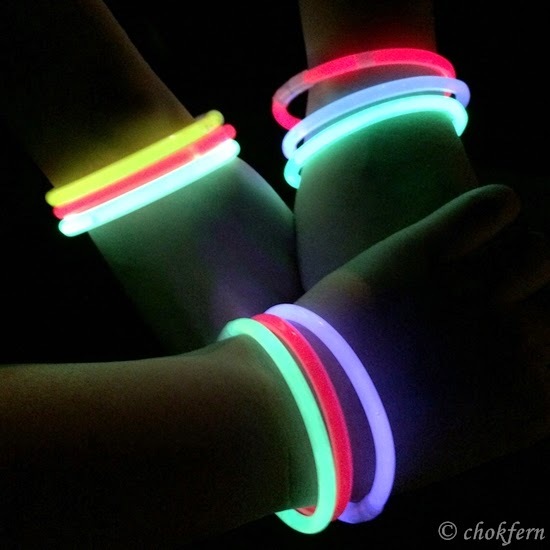 How do you find my luminous body paint? I was pretty surprise at how easy the paint can be wash off, but it save me my headache on how to cleanup after the event. 3 beginner yogis – Guess whose hands are these? 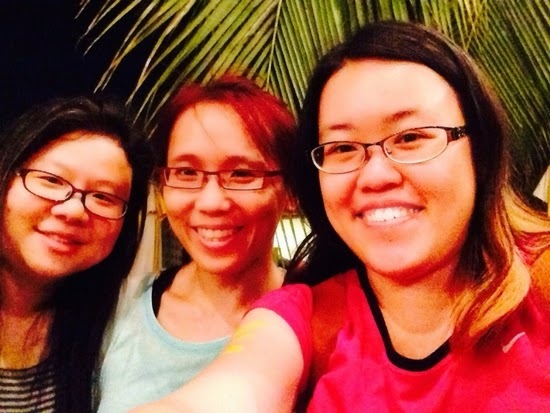 Such a joyful day~ How can we missed out a wefie? Sis, Tse Lyn, Sam, Jas and I take part in the Sunset yoga which is meant for beginners or as a warm up for advanced yogis. 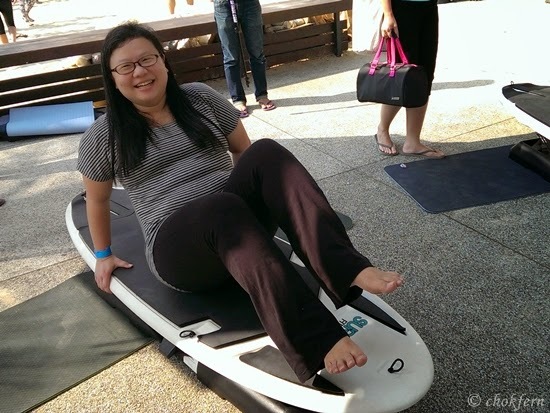 It’s slightly different from the beach yoga session I got to take part few years back when I was in a resort at Bintan. Back then, we do not need to bring any mat (well, not everyone will bring yoga mat around when they are going to resort, right?). Thinking about it, I only remember that my ex-colleague and I had a good time straining our body with our partners, and I got a body ache soon just hours later. 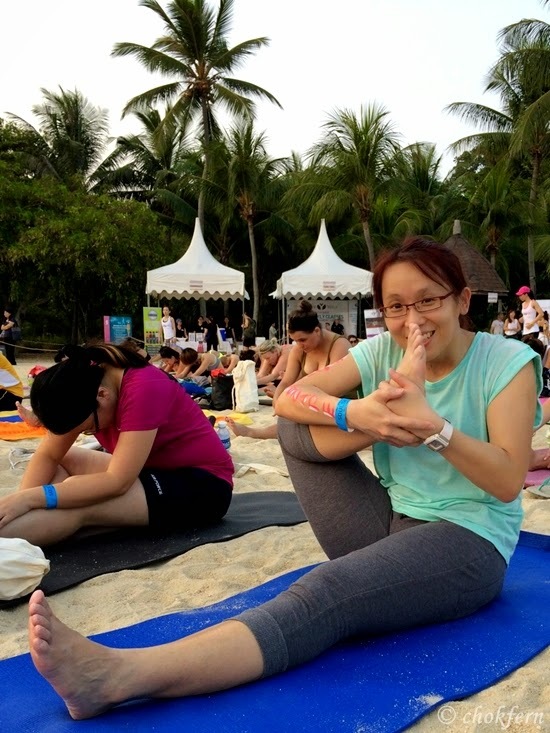 If you are cracking your head for somewhere to go on coming Saturday, you might like to pick up your yoga mat and join in the Yoga Beat @ ORCHARD ROAD. It’s a massive event catered for 1000 yogis, and it’s FREE~ (Call me cheapo, but I love free events :P). All you need to do it to reserve a slot at http://yogabeat.eventbrite.com/.